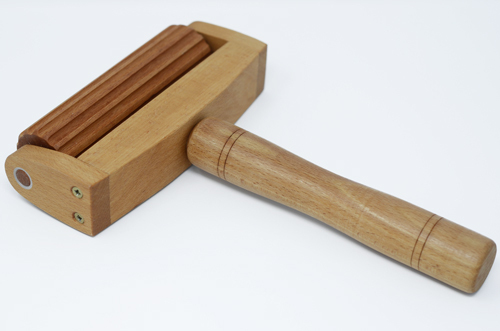 Our Standard Wingham Roller Felter has been popular for many years, but folk have often asked if we could make a handled version. Made here in Yorkshire in our workshops. Using the roller during the final stages of felting a flat piece helps with the finishing process. The end result will be a much stronger piece with less loose flyaway fibres sticking out. 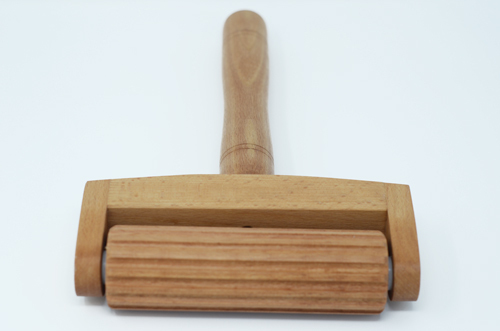 The same process can be done by hand, but a roller is a much faster and easier way of achieving the same effect. 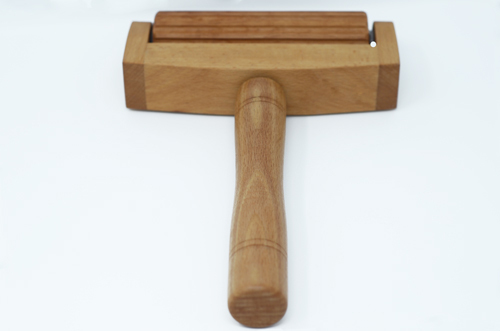 Large easy grip handle, good for wet hands. End bearings on the roller for smooth running.